A friend recently asked for help with setting up a “remote control” for an iPad presentation. That is, how to wirelessly control a set of Keynote slides running on an iPad connected to a projector. Not surprisingly, there’s an app for that. Apple has an app called Keynote Remote to support your Keynote slideshows. If you have an iPhone or iPod touch, you can purchase and install the Keynote Remote app from the App Store and use it to control presentation playback on your iPad. You install the Keynote Remote app on your iPhone or iPod touch, then link Keynote on your iPad to the Keynote Remote app on the other device. 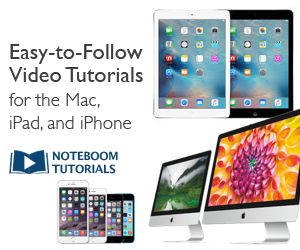 Here are directions for using Keynote Remote with your iPad. 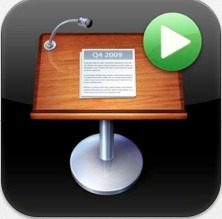 Install the Keynote Remote app from the App Store on your iPhone or iPod Touch device. The iPad and the other device must be on the same Wi-Fi network or be paired with Bluetooth. 1. Open up Keynote App on iPad. 4. You will see “Remote” at the bottom of the menu. 5. Tap Remote and set “Enable Remotes” to ON. You should see your iPhone appear. 6. Launch the iPhone Keynote Remote App and go to Settings. 7. Select “New Keynote Link” to get a 4 digit passcode. 8. Return to the iPad Keynote Advanced Settings and click the “Link” button next to the name of your iPhone. 9. Enter the 4-digit passcode to establish the remote control link. You now have remote control of your iPad Keynote. Choosing “Landscape” will show the current and next slide on your remote. Tap “Play Slideshow” to start.